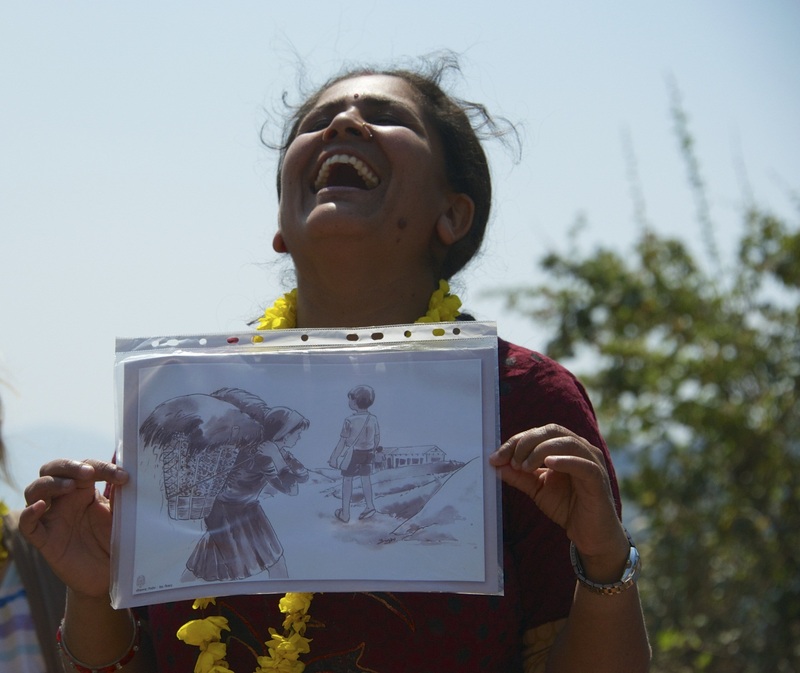 Sheetal’s PhD evaluates a health promotion intervention aimed at improving access to maternal health services in rural Nepal through women’s groups. She went to Nepal to conduct survey analysis; taking photographs with a cherished Nikon D700 and a 28-300mm lens. These photos painted a colourful canvas: women’s groups led by our health promoters that were sometimes interrupted by goats bleating, cattle mooing and children laughing! This picture speaks to the amazing work of two health promoters working with 1000 people. That day, the group discussion was led by Ishwori (health promoter/midwife). She used the picture to discuss challenges women face such as gender inequity, with her mother’s group: boys go to school and girls are expected to stay at home and help with household chores. She bursts out laughing when asked if men would help in the housework; part of addressing women’s status. She realises that women do have it tougher not just in her village but everywhere! They have to discuss ‘tough’ topics (gender violence or power relations and negotiating time and money from their families to attend health clinics). I find it inspiring that she retains a sense of humor, always important in dealing with tough topics.